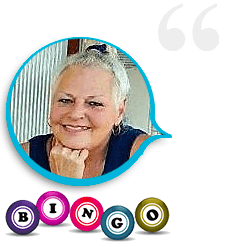 "There is NO place i play bingo and slots like amigo bingo you guys are fun and i have a great time after working 10 to 12 hours a day it is relaxing and thrilling all in one ! 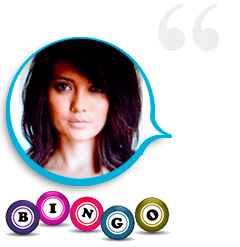 R. E "
"Amigo Bingo is the best site for bingo and slots. I win all the time! Thank you!" $725 win on A Christmas Carol.
" 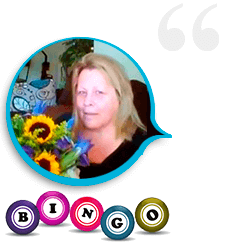 hi everywon... been my lucky week ,,won at casino and best of all won at amigo playing 3 times riches.. what a nice testimonial...been so sick this sure has made me feel better...tysvm scrooge"
"I love Amigo Bingo , best bingo online . " 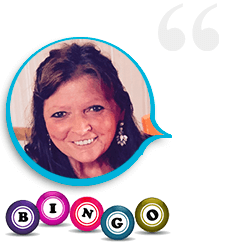 "Love playing BIngo/Slots at Amigo Bingo. 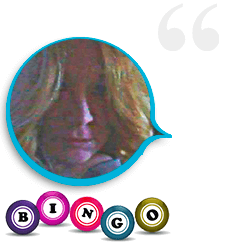 Love the fast process of withdrawals"
"Thank you amigobingo for the win!! Love playing here it is the best around. Thank you thank you!!!" "TY Amigo Bingo!! I love playing on this site. Being able to use bonus for bingo and slots is great. My second win! Best site anywhere. I will tell my friends that this is the place to play. TYSM AMIGO!" "Thanks Amigo for this exciting Win! it was last thing i expected-not once but twice, was so nice! I have played here since you became Amigo and i would play no place else. with the Roomie's and Ch's, everyone so nice, why would I. Thanks again"
"I have never won anything in my life and cannot tell you how good it feels. I cannot stop smiling!! 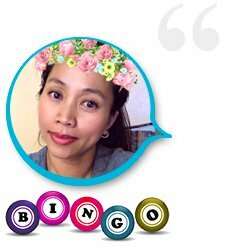 I love playing at Amigo Bingo as the website is very simple to use and bonuses are added automatically which is so great as you don't have to go hunting around for bonuses or waiting for chat to answer to ask them for a bonus. None of it is necessary and you can spend your time playing!!!! I love the variety of games as well. Thank you Amigo Bingo!!!!!" 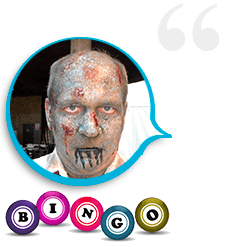 "Hi Rastalily here...still in shock from winning morning coverall!!! I wasnt even expecting that! I was trying for the nite coverall.. Thank you so much Amigo and Thank You Char!....xxxooooCharlene"
"I love playing the slots some weeks I do so good I am happy all week. 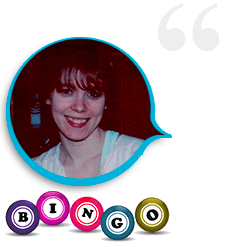 I was so shocked to win so much on my favorite games Who Spun it ! is my ultimate favorite one of all! I plan on playing and playing and playing forever. 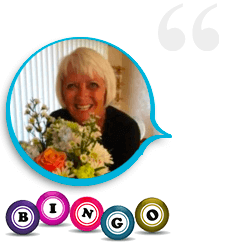 Thank you"
Where else can you sit in the comfort of your own home, have a cup of coffee or whatever, and sit day or night and play your favorite game be it Bingo or slots and win CASH MONEY? AMIGO BINGO, that's where!!" "It's so much fun to win! Thanks Amigo!" 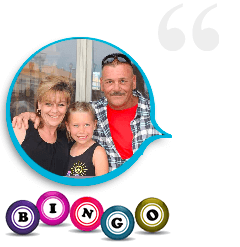 "Hi, I have been playing here at Amigo Bingo for a few years now. I can say I like the bingo rooms, slots, and poker. Heck I like it all. And I finally won a substantial amount of money !! Ahh yes, the FaFa Twins were very kind to me today, over $9300.00 and some change!!! I have never won that much money at one time before. The bingo rooms are great too, as are the CMs. Everyone here is very friendly and always on a positive note. I will be seeing you all for a long time to come! I guess that is why they have been in business for so long is that it is a great place to come and enjoy my favorite past times (bingo and slots)!! Thank you for being here Amigo Bingo!!" "I can't believe I won $7,000.00 on my favorite slot machine.. 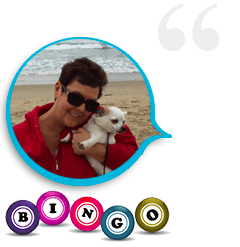 I really love playing at Amigo Bingo. It is the "BEST" site on the web. Thank you!" "Thank you Amigo for my slots win! 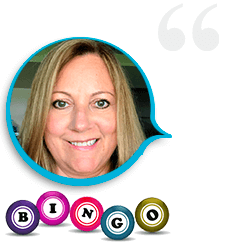 I love the many slots available and how easy it is to win!" 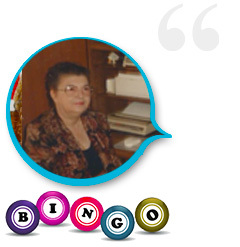 "Amigo Bingo is my favorite site to play online slots. I consistently win big. And love it! Thank you, Amigo Bingo!" 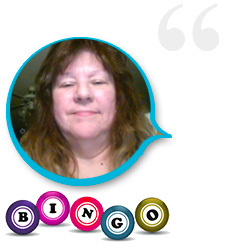 "It is so great to be a winner and Amigo Bingo is the best. My payout is processed Wednesday and on Friday morning the FedEx man is at my door with a physical check (I love knowing I am going to get a visit from the FedEx man this Friday!)" 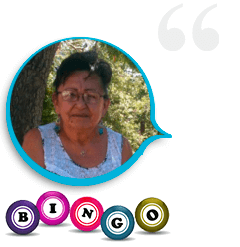 "I love playing my favorite slot at amigo bingo! Lots and lots of excitement specially when I win this big! I can't still believe $4000 winning! 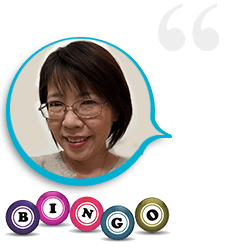 I will Keep on playing with this best bingo and slot at amigo bingo ?? thank you so much amigo!!" Over $4,000 wins on Rook's revenge. 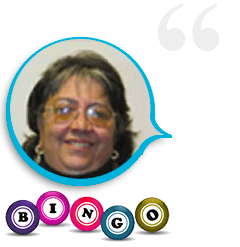 "I am so excited on winning big at Amigo Bingo. I love playing on this site. I have been playing for many years I wouldn’t play any where else. 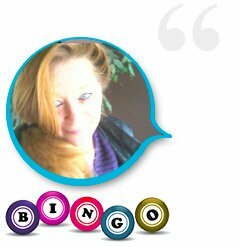 Thank you 😍�'� Fluffer"
"I love Amigo and I love winning....I had a great weekend here and the games treated me very well. I have been playing here for years and there is no other place like Amigo. Thank you Amigo and good luck to all my roomies." 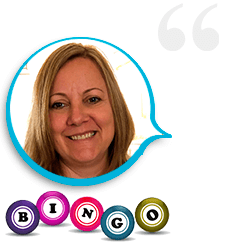 "I have been playing Amigo bingo for a few years now. It seems to be my lucky place to play. Love the customer service. My alias is for my beautiful cat. Mario born on 9/11. Thanks for all the super wins." 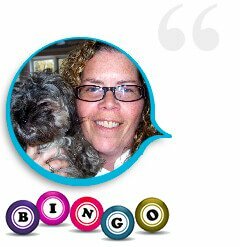 "I have been playing at Amigo Bingo and their affiliate Canadian Dollar Bingo for quite some time and have been witness to their evolution over the years and I will say that these are the sites to play at! The promotions are great and deposit bonuses are very generous. I prebuy my cards for the most part because I work crazy hours and after signing in very early in the morning my balance was increased by $1,000!!! It certainly made my day. :) I will admit to letting out of woo-hoo!! 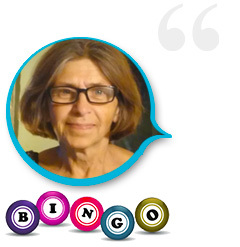 "I have been playing Bingo and slots at Amigo Bingo for about a year now. 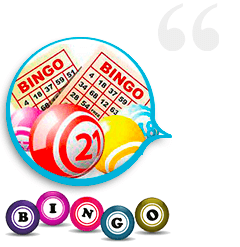 The bingo rooms are always enjoyable with friendly players and chatroom monitors. 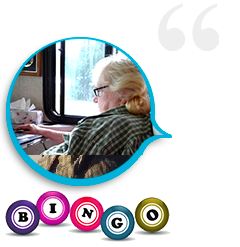 I have won many times over in the bingo rooms. 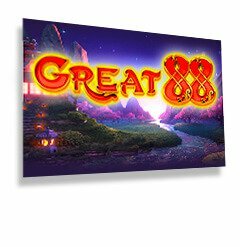 The slot games have been especially rewarding including my recent jackpots on Great 88. Thank you Amigo Bingo." "I'm still in shock. 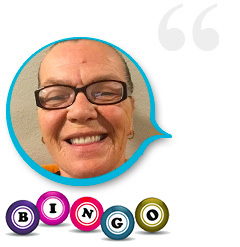 I have been playing here at amigo bingo for years and I never won anything this big$.I always enjoyed playing but I never imagined winning this kind of amount.Thank you amigo bingo this will help me a lot paying my bills." Over $10,000 in Slots Jackpots! $1,000 CASH - December 2017 - 12 Days Of Christmas Contest. 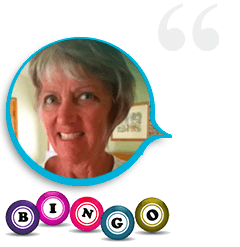 "I play Bingo & Slots quite a bit at Amigo Bingo. I decided to play on New Year's Eve. I won $6000 dollars on my favorite slot machine. To my surprise the very next day I won $2000 more, on the same machine. I'm still in shock! Thank you Amigo Bingo! 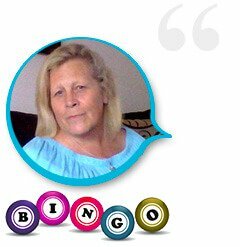 I just love this site and all the staff members..."
"Well my first win on Amigo Bingo and it was the Jackpot on the frogs!!! But while I was waiting for the day to request payout I hit them again. If my year goes in tune with this wonderful NEW YEAR win,,,,,, well ,……..WOW!!!!! Ty AMIGO BINGO! SO EXCITED!!" $20,000 ( 2 x $10,000 Jackpots) Rainforest Riches Slot - January 2018. "I hadn’t played on Amigo for a good while. I have not tried any other site. I decided to play a little this weekend. I was sitting on the bed while my husband watched football (ew!). I did it! I hit 3 red frogs!!!!!! I couldn’t believe it. My husband thought I’d lost my mind from all the commotion I made. Thank u Amigo! I won’t ever play anywhere else!" 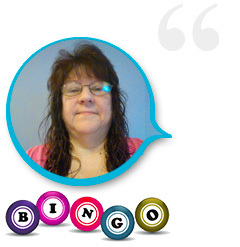 "I am so surprised and happy, I have been going to casinos near my home and in vegas and never won this much. I love you guys thank you again So I guess I am a real VIP now. Thanks again.EmojiEmoji"
"i enjoyed playing on here at amgio for over 10 yrs the best roomies and workers very welcoming the very first day i joined amgio is family love it herei have won before but sat when i won the 2,500 was sooo happy then i was playing bb and won the 2000 wowww so excited ,,,,,,my dogs where singing because i was excited lol,,,enjoy your night and thank you again my amgio family"
"Ty ty ty ty ty ty so much for the win I can not believe it Now I'm doing the Happy Bingo Dance tytyty Amigo!" 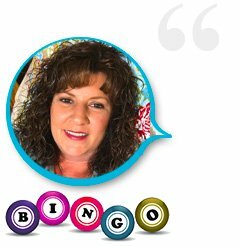 $500 Grand Prize winner - March 2017. "Hi tytyty for the win I am so very excited. 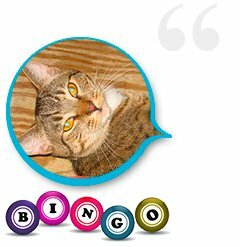 I just love Amigo bingo. Have been here for 10 plus years you guys Rock!" $500 winner February 2017 Main Contest. "OH MY GOSH!! Thank you so much. I rarely look at my emails with great detail but when I got the email with the subject saying I WON the GRAND PRIZE for the December monthly contest I almost fell off my seat. Thank so much Amigo. I love the slots and the awesome different promotions you continually run. I will forever be the greatest fan!!! " 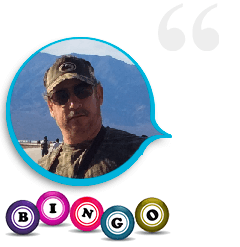 $1,000 Grand Prize Winner December 2016. 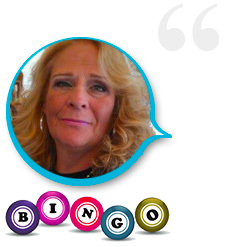 "I loveee Amigo bingo. I was lucky enough to win the nightly coverall again. Always looking forward to playing here, it is very entertaining. The cm's there are all great and a nice bunch of people play there too. I have had many good days just sitting here with my coffee . Thanks again amigos"
$1,000 Nightly Coverall winner – December 2016. 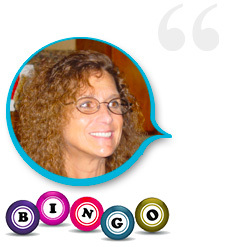 "i cannot believe i won the november contest First of all let me say THANK YOU very much.It couldnt have happened at a better time.Amigo is the only place i play slots or bingo-everyone is friendly and very helpful.Amigobingo is the place to play--Thank you once again and i hope everyone there has wonderful holiday season-cindi-jacros53"
$1,000 Grand Prize Winner November 2016.